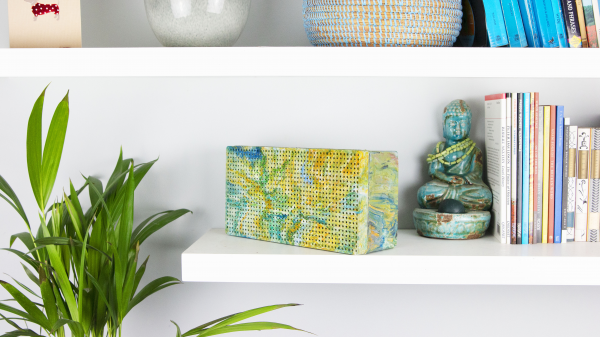 The first product from Gomi Design is a revolutionary Bluetooth speaker made from plastic trash that would otherwise end up in landfill or the oceans. Plastic waste makes up 85% of the pollution on beaches around the world, and every year the UK alone throws away 300 million kilos of flexible plastics. Flexible plastic (LDPE) consists of plastic bags, bubble wrap and pallet wrap, which are all not accepted by UK councils for recycling. Gomi Design won £10,000 from the Environment Now Programme to kickstart the project in January 2018, with further funding from the Santander Big Ideas Competition in June 2018. 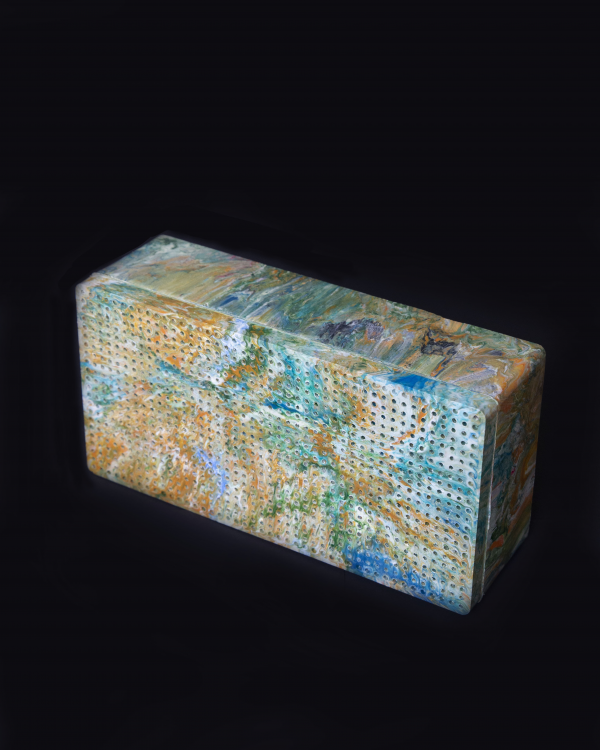 The speaker is made from three modular marbled-plastic components, and is made using a combination of traditional craft techniques and digital fabrication. 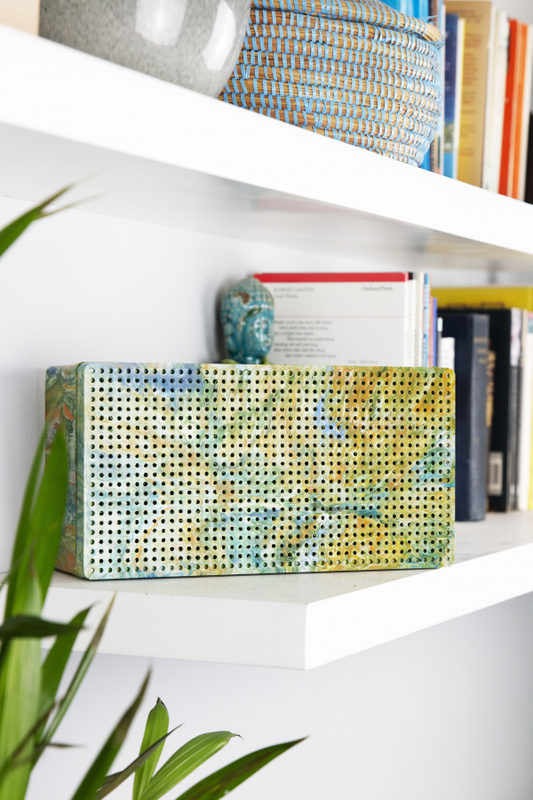 The speakers are hand-marbled, which means that every product has its own individual aesthetic. Each speaker takes equivalent of 100 plastic bag worth of flexible plastics to make. The products are designed to be modular, so they can be separated easily, and the plastic components can easily be melted into new components for future products - without losing any material value. 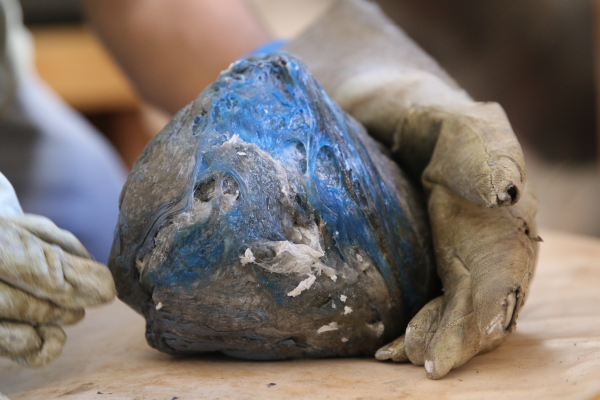 The central question this project set to answer was: is it possible to design a product which could actually clean up the environment through its product life-cycle - contrasting the norm of everyday products produced and discarded in today's fast-paced world. 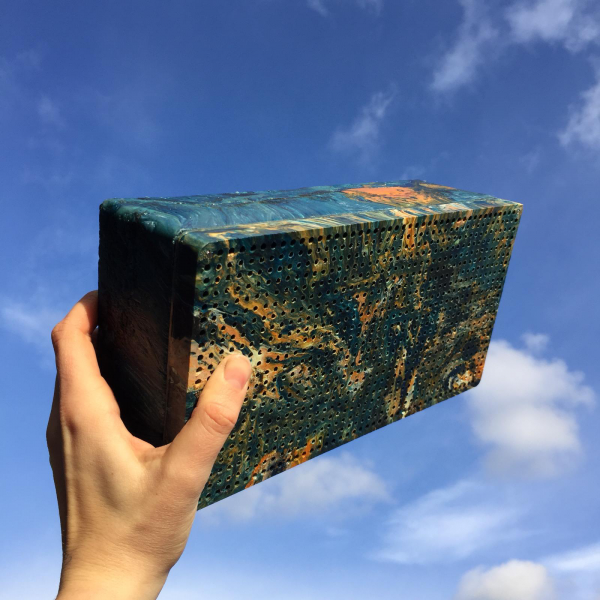 The plastic used for the speakers is collected from households, commercial premises, and the beaches of Brighton — saving 100 plastic bags per finished speaker from being sent to landfill, or otherwise affecting the environment.